Laguna returned to action with a pair of matches hosting Dana Hills this past Wednesday and Saddleback Valley Christian on Friday, Jan. 6. Godinez is clearly the favorite in league play this season as the undefeated Grizzlies (8-0) are ranked No. 1 in Orange County and fifth in the state. Estancia, Costa Mesa and Saddleback appear the next toughest teams followed by Laguna and Calvary. Breakers went 2-0-1 in a desert tournament last week and will open at home Wednesday, Jan. 11, hosting Calvary Chapel. 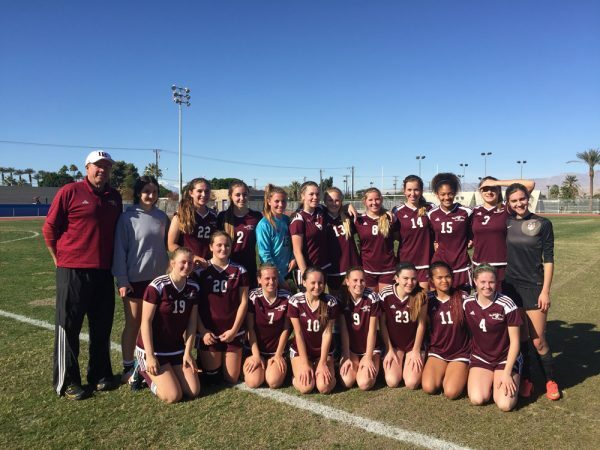 Soccer Coach Bill Rolfing is in his 13th season guiding the girls. He coached the boys from 1979-83. Back row, from left, Coach Rolfing, Bianca Brock, Britain Sammons, Brynn Anderson, Cameron Russo, Shea Skenderian, Alden Kramer, Greer Jacobs, Piper Naess, Reilyn Turner, Cambria Hall and Reno Sammons; front, Jaden Christiansen, Kate Kruger, Anika Pitz, Christine Johnson, Haylee Jarvis, Emily Addis, Shanai Auguis and Lilli Cook. 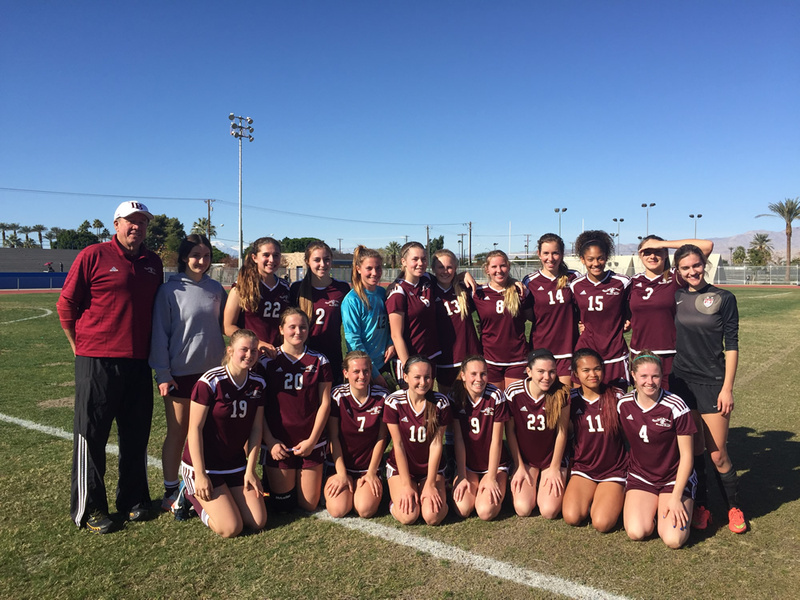 Laguna girls enjoyed their seventh annual trip to the desert going 2-0-1 last week. On Tuesday, Dec. 27, they defeated Indio (2-7-2) 8-0 at the Rajah’s field. The following day they battled Rancho Mirage (5-5-2) to a 3-3 tie. Breakers then picked up a 4-2 win over Shadow Hills of Indio on Thursday, Dec. 29. This past week Laguna concluded their non-conference portion of their schedule with a match at University on Tuesday, Jan. 3, and at Ocean View on Thursday, Jan. 5. League play opens on Wednesday, Jan. 11, with no clear favorite among the six league schools.